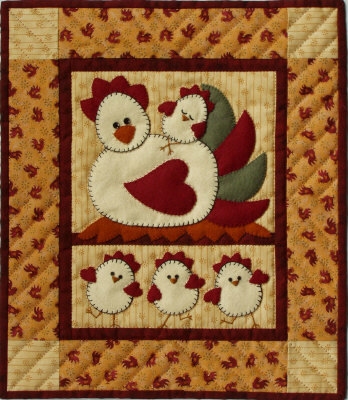 Hot off the press from Rachel Pellman, this delightful new mother hen with her chicks will delight all of you chicken lovers. This piece and appliqued wallhanging has easy to follow instructions and is suitable for all abilities. Finished size is 13 x 15 inches. KIT AVAILABLE IN KITS SECTION.